So I am a tiny little bit obsessed with this new singer-songwriter Diane Birch. She is 1. absolutely adorable and 2. a lovely singer, different from the Gaga’s and Duffy’s of the world. Birch has a really unique voice and interesting lyrics. My favorite song of hers is “Nothing But A Miracle” but “Valentino” is a close second, mainly becasue of the title of the song and the amazing music video. She looks like she stepped right out of the 60’s and onto my iPod. Her huge Twiggy eyelashes had me at their firts bat and those bangs almost make me want to grow mine out again. Diane Birch is funny. She is ironic. 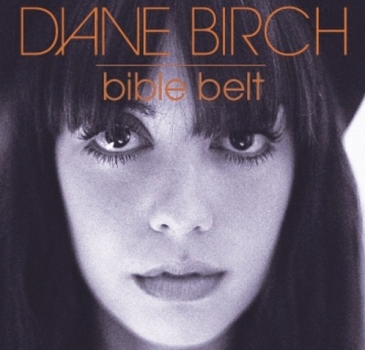 The title of her CD is “Bible Belt” that takes quite a bit of courage considering her father is a Seventh-day Adventist preacher, and she spent her childhood in churches both in South Africa, Australia and America. She had little contact with the outside world, tv, radio, pop culture etc, and created a fantasy world in her head, including her friend Valentino, who was fashioned after Motzart. 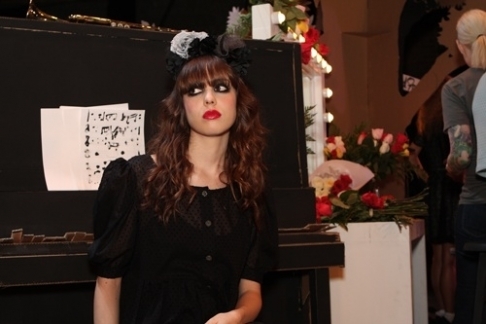 She then, as expected, went through an extreamly goth phase, arriving at her father’s church dressed like a Gareth Pugh collection. But after turning herself around a bit she discovered her “old soul” slightly hipster style and truly found herself.